Basketball season is inching closer and many of you will begin your fantasy basketball drafts in the coming weeks (some of you, like myself, may have already completed some). Last week I hit you with my center position rankings, and today I’ll be digging a little deeper to highlight a few of my favorite center sleepers for this season. The son of former Suns and Cavs great Larry Nance, Nance Jr. came to Ohio (along with Jordan Clarkson) in last year’s trade that sent Isaiah Thomas and Channing Frye to the Lakers. Nance Jr. never really got a chance to showcase his stuff with the Lakers, garnering just 21.6 minutes per game in his two-and-a-half years in purple and gold. When he was on the court, though, he put up stellar per-minute stats, including 1.2 steals, an excellent number for a center-eligible player. His overall numbers didn’t change a whole lot after arriving in Cleveland, but we saw spurts of fantasy goodness during a 13-game stretch when Kevin Love was sidelined. In that period, Nance Jr. averaged 11.6 points, 7.9 rebounds, 1.3 steals, and 0.9 blocks, while shooting 60.6 percent from the field. Even his 73.5 percent free throw shooting was much better than his season-long 66.4-percent clip. It’s a small sample size, but according to Basketball Monster, that quality run earned him the No. 36 ranking in 9-category leagues during that span. It’s unknown yet where Nance Jr. will slot into the Cavs lineup. Ideally, he’d be their starting center, because we all know how awful Tristan Thompson is on both ends of the court, but this bad Cavs team will need his offense more than whatever the heck Thompson provides, so a bench role should provide plenty of value if that’s what Coach Lue decides to do. Plus, Love isn’t the poster child of durability either. Larry Nance Jr. is a steal at his current Yahoo! ADP and the potential for a top 60 finish could make him a “league winner” for many fantasy basketball owners especially those using a “punt free throw percentage” strategy. Make sure to grab him in your drafts before anyone else catches on. In June of 2017, the Rockets sent a bunch of players to the Clippers in exchange for All-Star point guard Chris Paul, with Lou Williams and Patrick Beverley headlining the Clippers’ return. 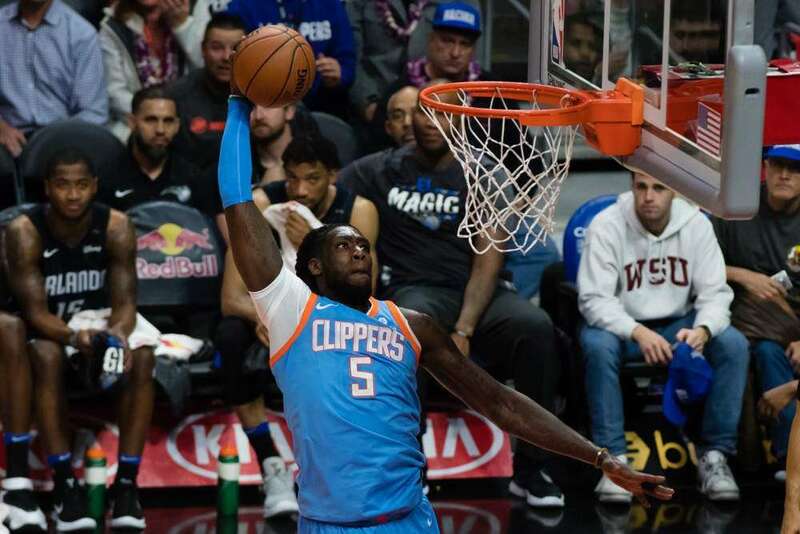 At the time, Montrezl Harrell was an afterthought in the deal, but it’s looking more and more like he can be a real difference maker in L.A. It was a busy off-season for the Clippers; the team said goodbye to long-time center DeAndre Jordan and traded Austin Rivers for Marcin Gortat. I expect Gortat to begin the season as their starter, but at age 34 and with an expiring contract, he may not have that role for long. When he does relinquish it, Harrell should be ready to seize the opportunity. Last season was a banner year for Harrell. The 24-year-old was a model of efficiency, ranking third in the Association with a 63.5 field goal percentage and averaging 11.0 points in just 17.0 minutes per game, which was an NBA record. He’s going to play much more than 17 mpg in 2018-19, and while he won’t likely reach 36 minutes on a nightly basis, his per-36 averages of 23.3 points, 8.5 rebounds, 1.0 steals, and 1.4 blocks paints a picture of what puts him among my top center sleepers this season. Yahoo! ADP has Harrell ranked as the fourth-to-last center off the board, below guys we know aren’t good like Frank Kaminsky and Alex Len, and behind centers with serious playing time issues like Bobby Portis and Marquese Chriss. Start learning how to pronounce his name, because Montrezl Harrell is going to be a name fantasy basketball owners talk about a lot this season. 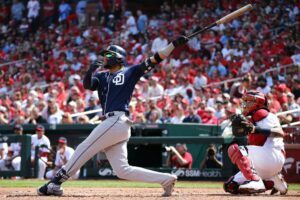 When you’re done with your research and draft prep, head on over to Fantrax.com to start or join a league, or play in one of our cash games, where the top three teams in each league win cash!